Jerk or “jerked” style seasoning can come in many forms – a dry rub style (we like McCormick’s Caribbean), a thick paste (Pickapeppa), or a pourable sauce. 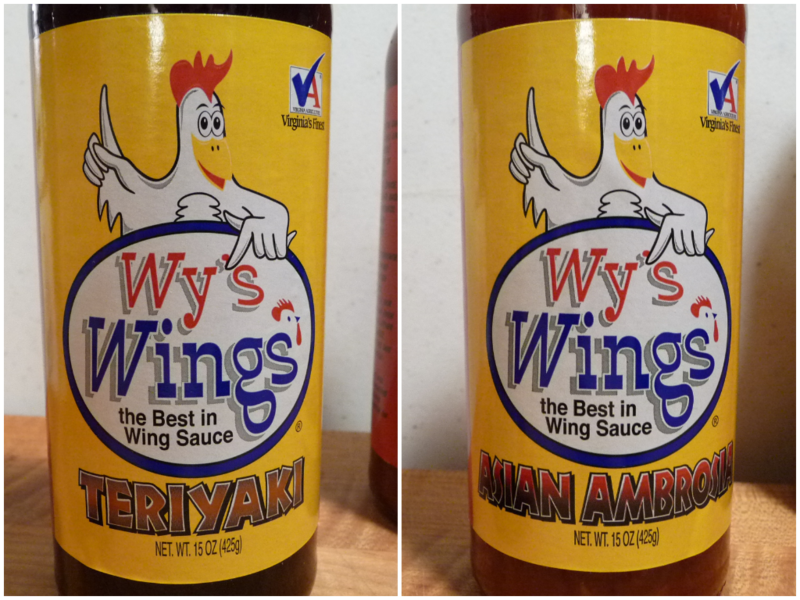 Next to buffalo style, jerk wings are my favorite wings to eat. Heck, I love “jerked” anything! But especially chicken, and wings are an easy way to get that fix. 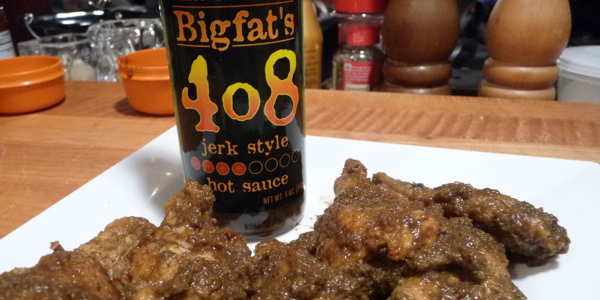 We’re frying up some hot wings and tossing them in Bigfat’s 4o8 Jerk sauce for our Day 2 of Week of Wings 2013.